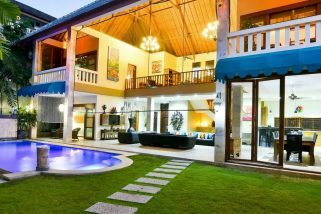 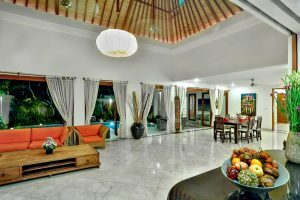 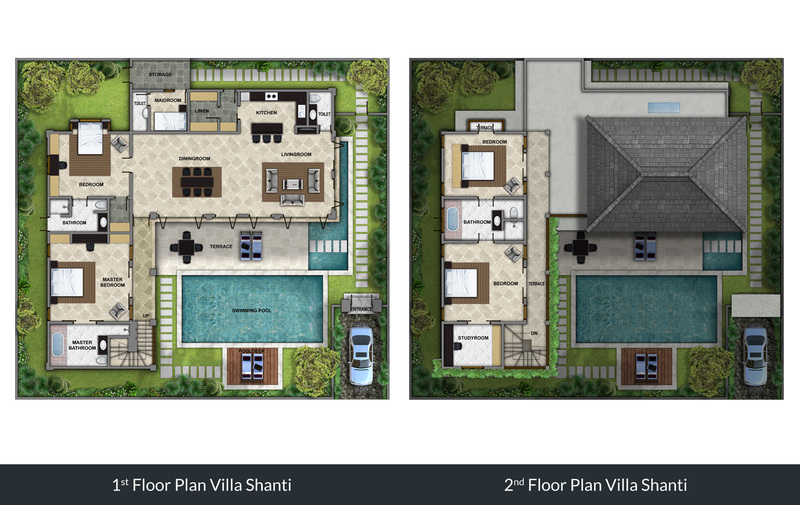 Designed as luxury 4 bedroom pool villa, Villa Shanti offers a beautiful holiday in Bali and accommodates up to 8 persons. 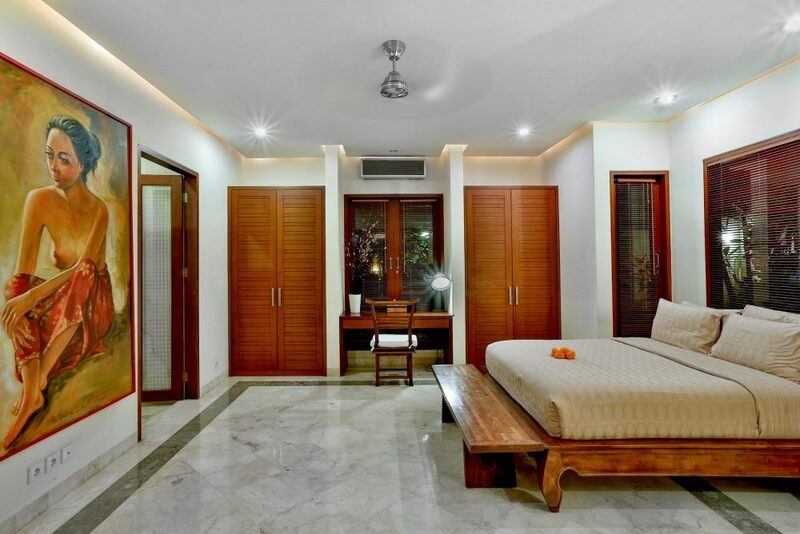 Located in The Residence Seminyak complex, this enormous two-story villa dazzles from the moment you enter through its ornately carved wooden doors. 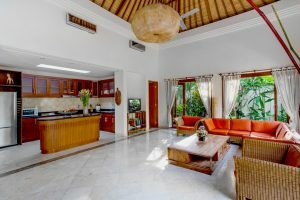 The villa’s ground floor houses the living, dining and kitchen areas which overlook the swimming pool and gardens and can be left open to the tropical air or closed off for air-conditioned comfort. 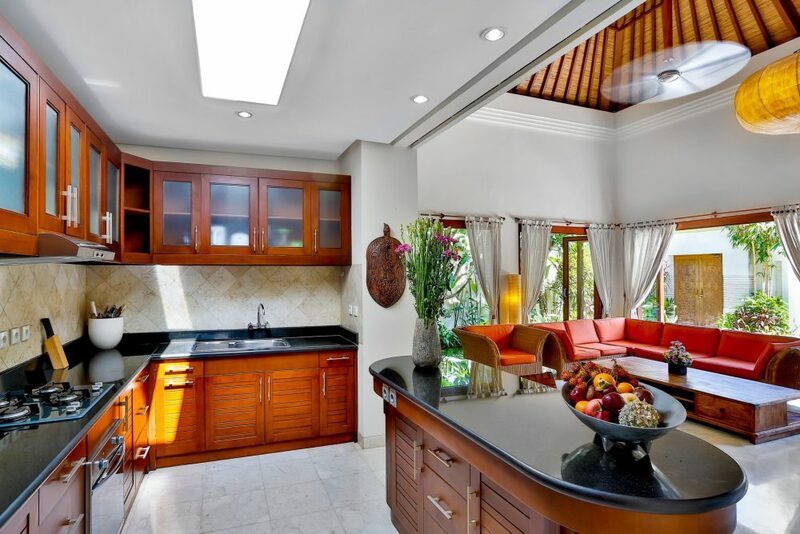 The well-equipped kitchen can be screened with sliding doors or opened up to reveal an island bar counter. 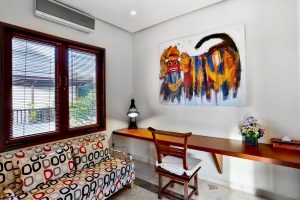 In the dining room a table seats eight and in the comfortable lounge area sofas and armchairs face a television and DVD player. 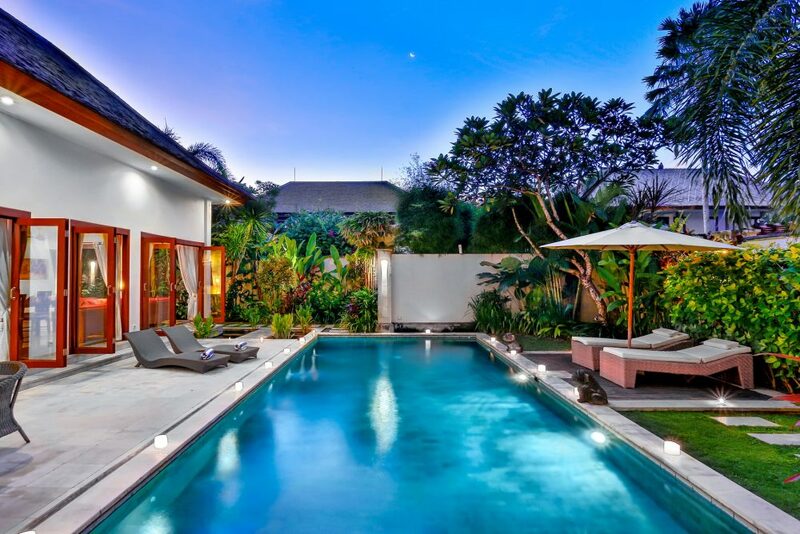 A broad terrace alongside the 11 x 4.7m pool makes a comfortable outdoor living area as well as an alfresco dining area for four. 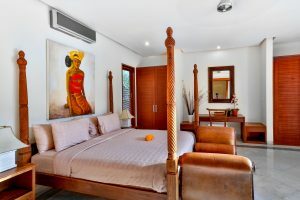 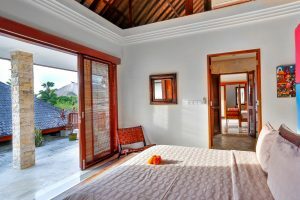 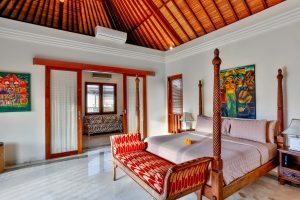 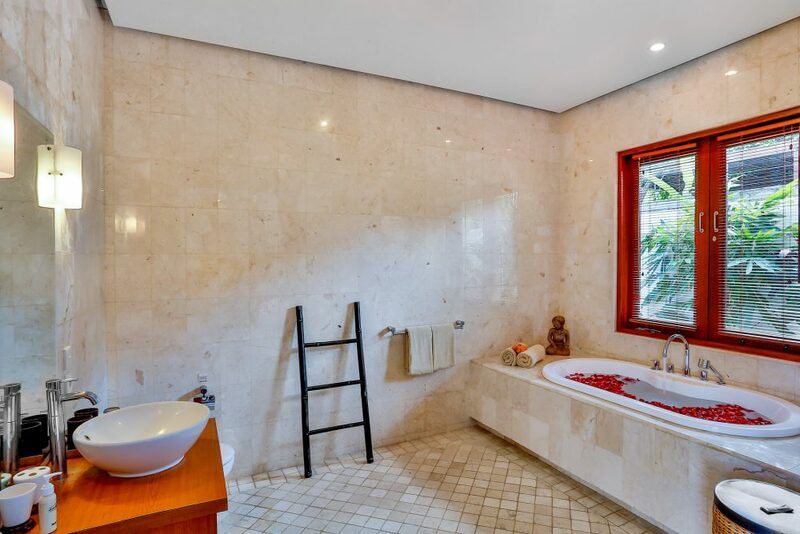 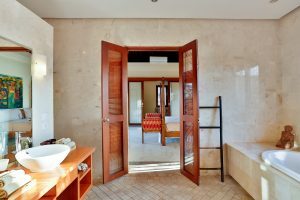 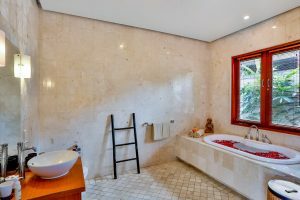 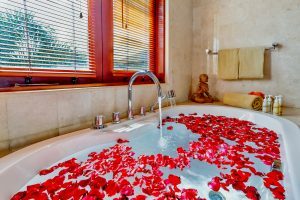 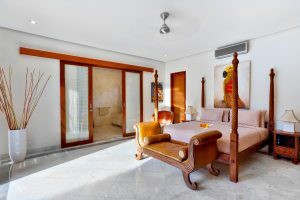 Villa Shanti’s four bedrooms, two of which are upstairs and share a large bathroom, Three are furnished with king-size beds and one room with queen-size bed. 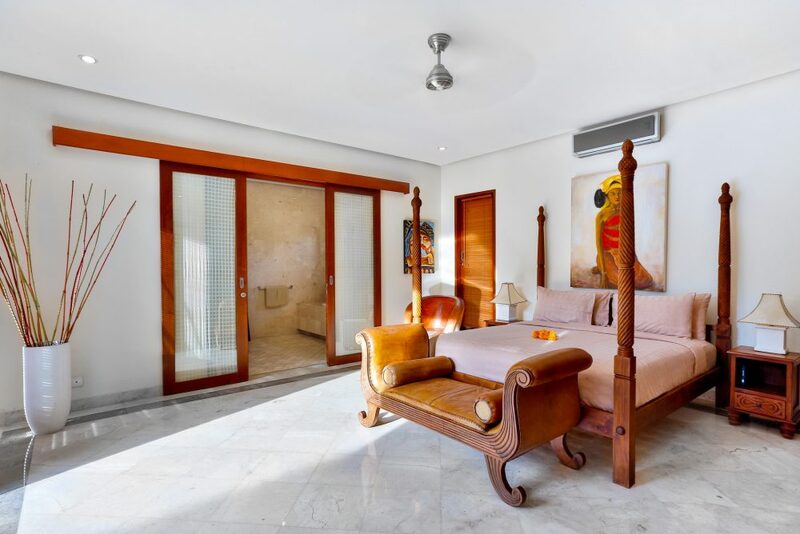 Lush tropical gardens surround the master bedroom, whilst the second downstairs bedroom is located off the living area. The ensuite bathrooms for both of these rooms are fitted with indoor tubs and showers. 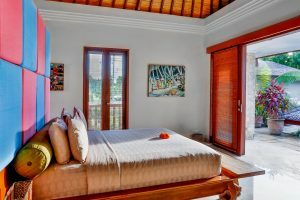 One of the upstairs bedrooms features a four-poster bed and has an adjoining study with a sofa bed, making it an ideal family suite. 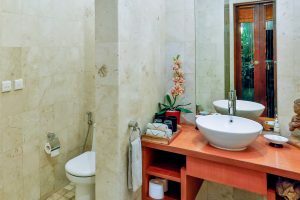 Guests are serviced by our friendly and professional team of villa manager, butler, housekeeping, gardeners and pool attendants. The team will ensure all your needs are met with grace and beautiful Balinese smiles. 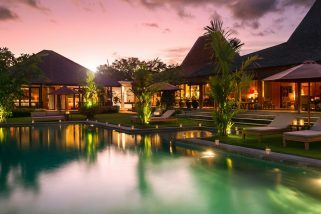 Our villa management team are happy to provide advice on the surrounding areas, book restaurants, arrange spas or recommend tours to discover our beautiful island. The Residence, Seminyak is literally round the corner from JalanLaksmana and JalanKayuAya commonly known as “Eat Street” with its plethora of cafes, restaurants, shops and boutiques. 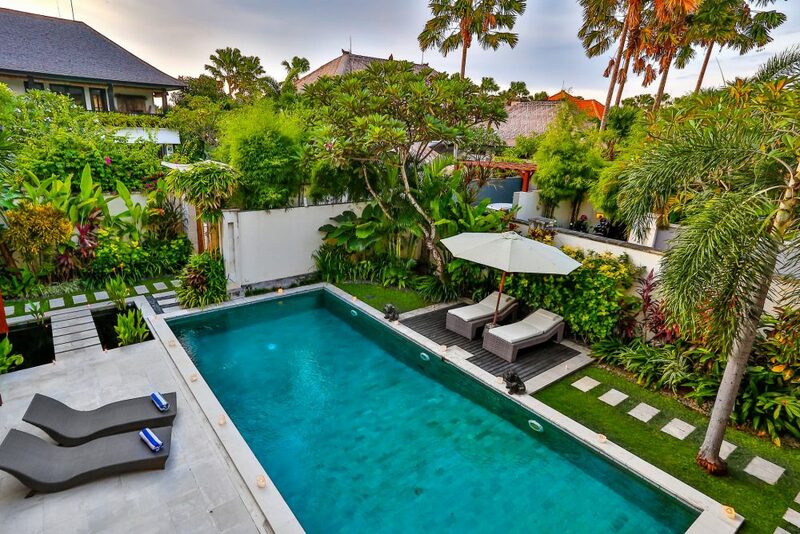 Seminyak Square and Seminyak Village, two upmarket shopping centers, can also be found here, and, it’s just a leisurely 10 minute walk to the beach. 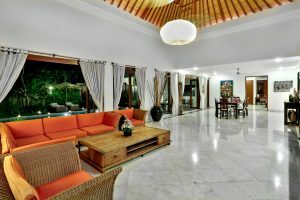 Appriciated the transport being arranged for us – thank you! 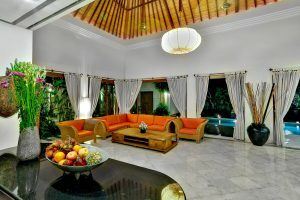 Dwin and other staff were exceptional. 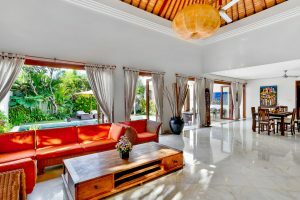 The banks of a meandering river winding through the village of Umulas plays host to an impeccable five-bedroom holiday home with a vast garden and a beautiful 20 meter swimming pool as its centrepiece, Villa Theo. 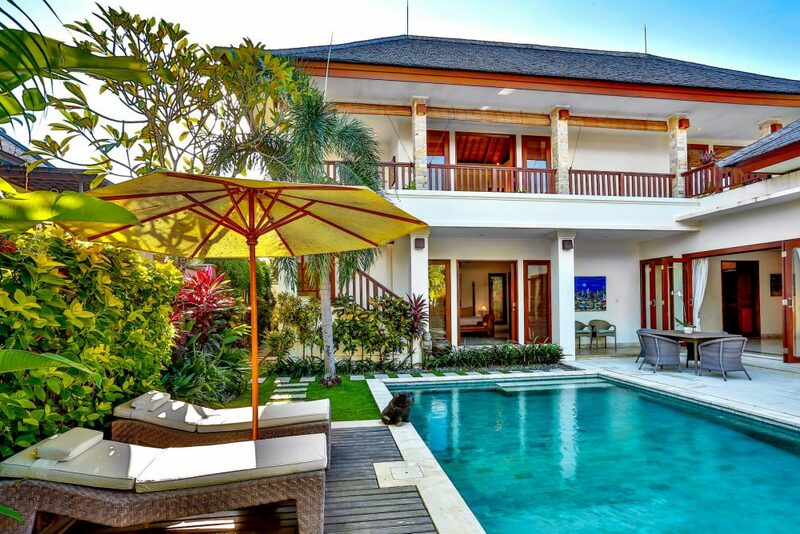 Villa Ashira is guaranteed to provide you everything you’ve been craving from a picture-perfect Bali getaway. 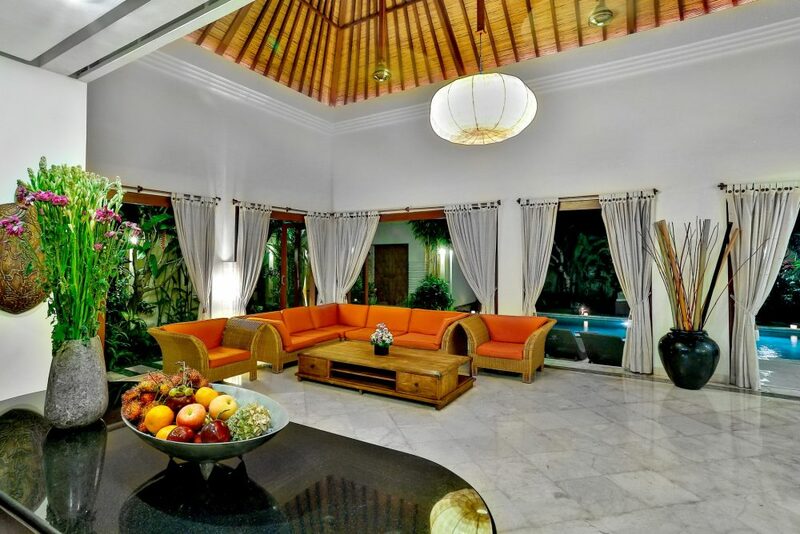 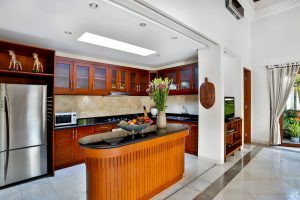 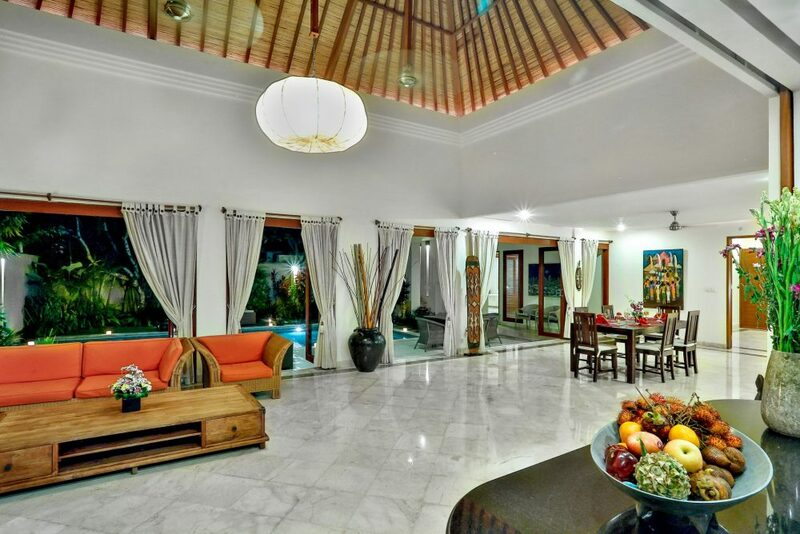 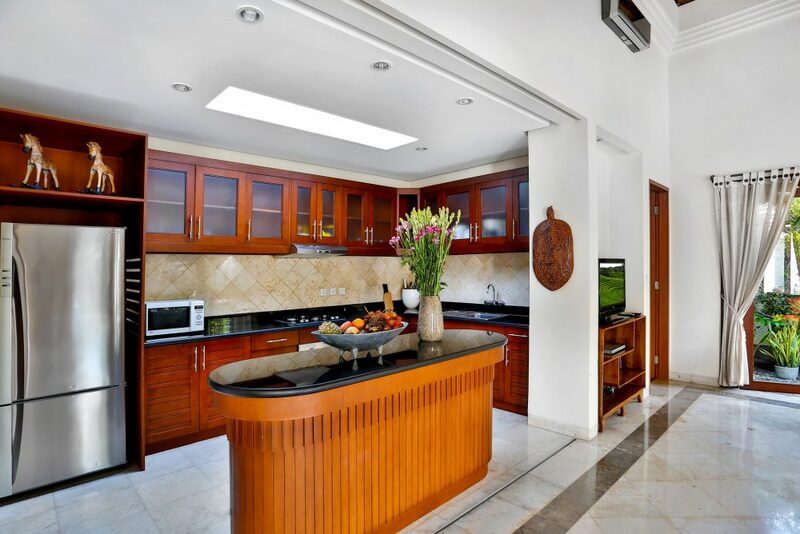 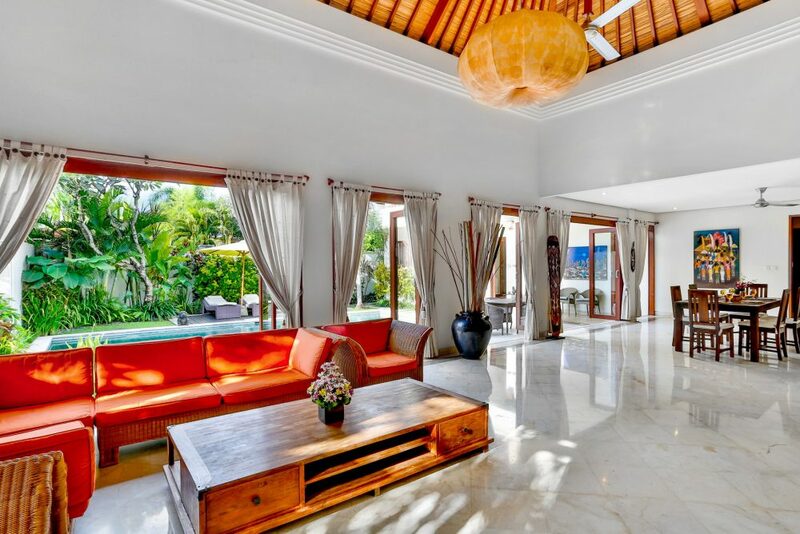 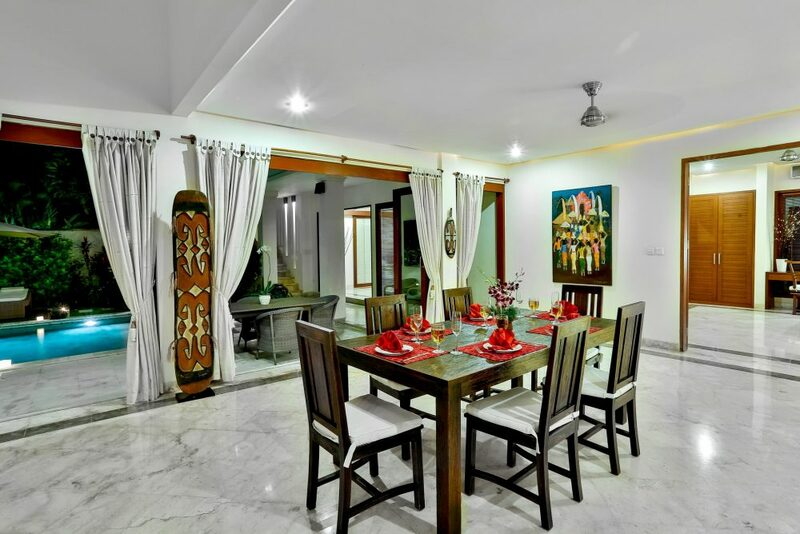 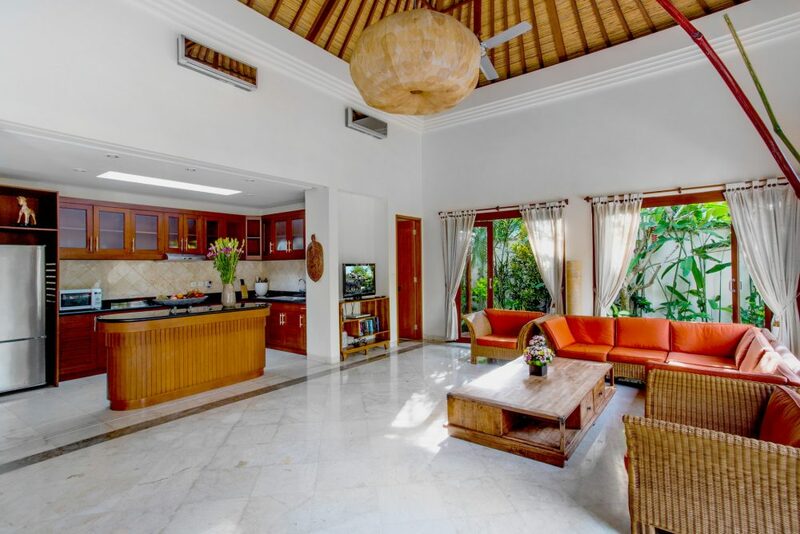 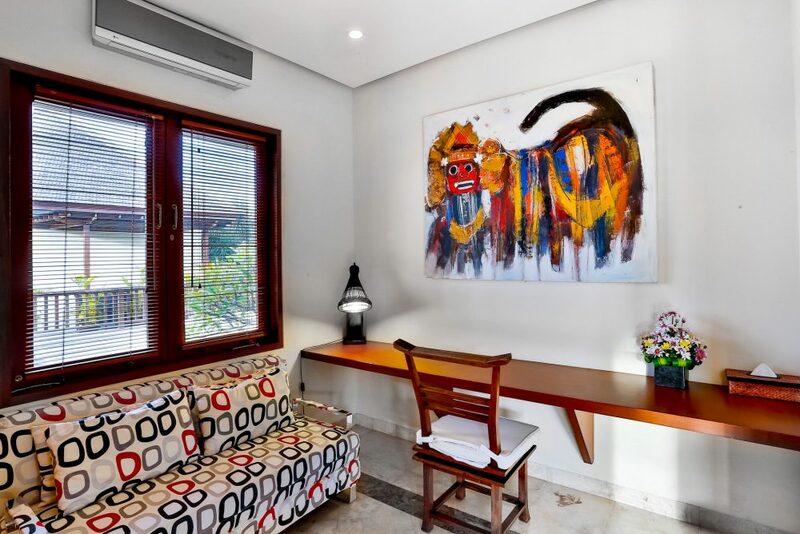 Modern, elegant and spacious, this 2-bedroom villa is ideal for smaller families or groups of friends looking to stay in close proximity to Bali’s most happening district. 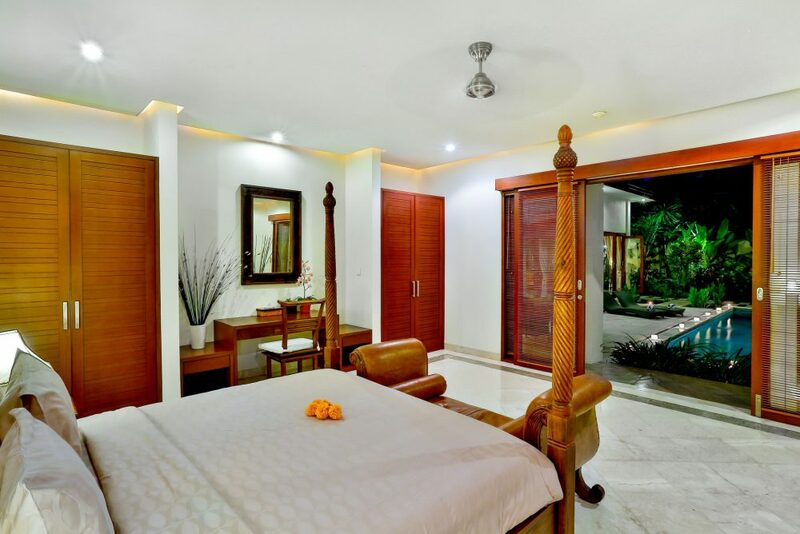 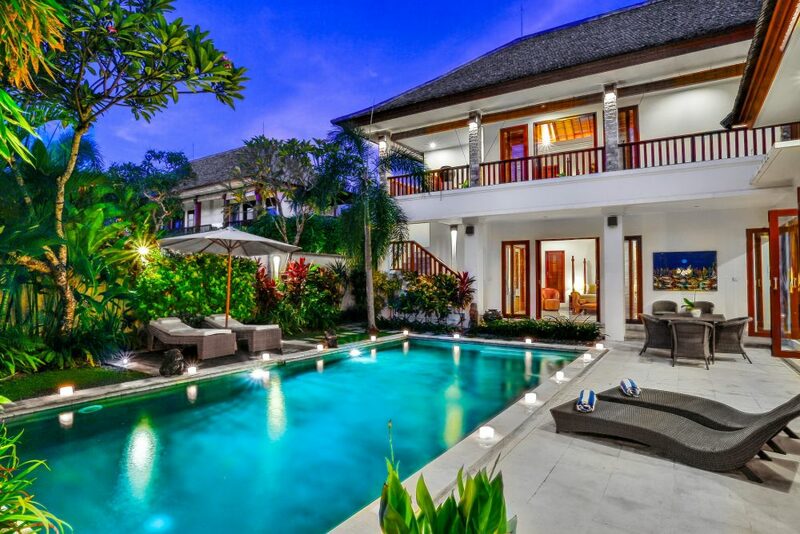 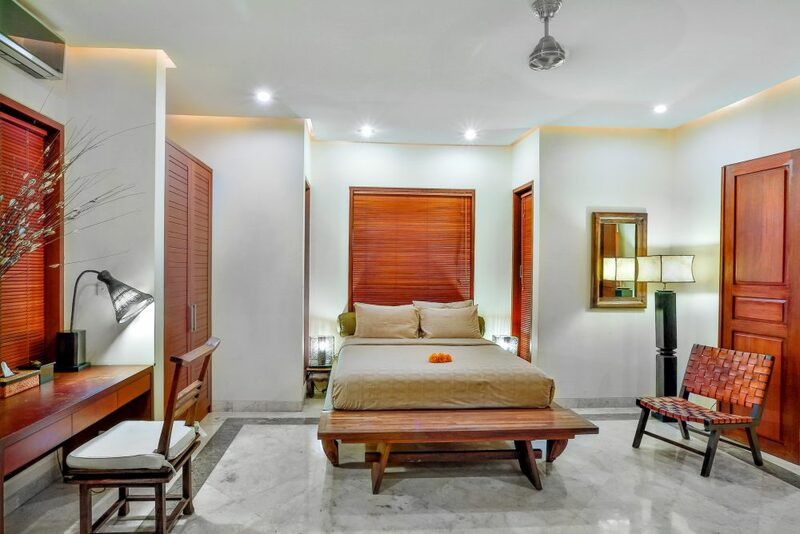 Villa Mystique is a majestic 3 bedroom villa located along Jalan Pura TelagaWaja, right in the heart of the bustling Seminyak. 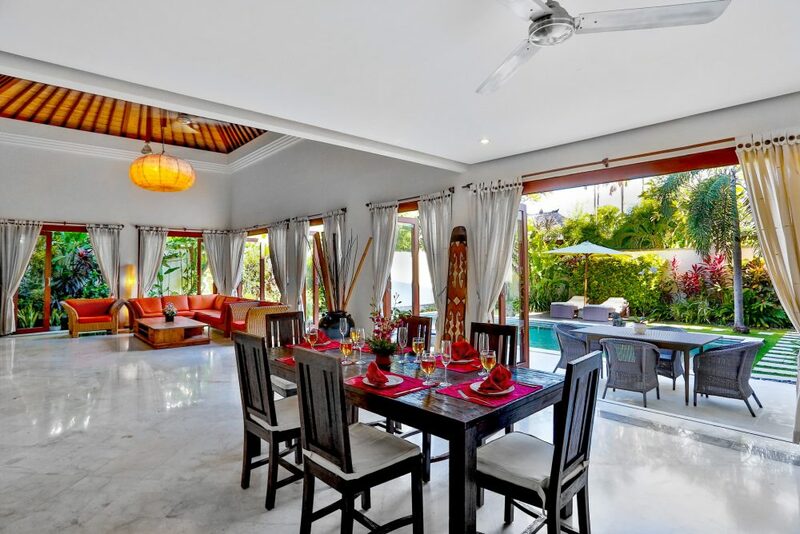 The villa enjoys proximity to countless restaurants, bars, cafes and it is also close to the Petitenget Beach. 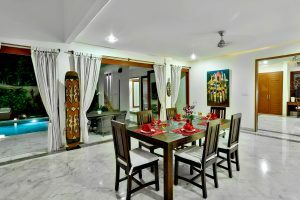 Founded by two Australian entreprenuers who combined 30+ years of experience in holiday villa rentals and 5 star luxury hospitality, Asia Holiday Retreats provides a complete service from helping you find your ideal villa or planning a specialized retreat, to supporting you throughout your stay. © 2019 - ASIAHOLIDAYRETREATS.COM. All Rights Reserved.